Contrary to popular opinion, investing on the JSE is easier and more affordable than many people think. 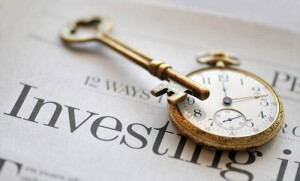 The key to becoming an investor is having the necessary information, knowledge and financial advice at one’s disposal. Once you understand the basics it’s straightforward and can be rewarding. The following tips should show you how to get started. To start investing without first examining your finances is like jumping into the deep end of the pool without knowing how to swim. Start your investment journey by consulting an accredited financial advisor. Choosing a financial advisor is a big decision and the type of advisor that is right for you depend on the amount of time you are willing to spend on your investments and your risk tolerance. The Financial Planning Institute (FPI) is a good place to find a consultant. You don’t need to be a financial expert to start investing, but it is a good idea to learn some basic principles and terminology before you take the first plunge. By doing so you will be better equipped to make informed investment decisions. If you or your child is still at university or school a great way to get some practical training is to participate in the annual JSE / Liberty Investment Challenge. This is an educational youth programme aimed at introducing high school learners and university students to the world of investment by teaching them the fundamentals of investment strategy. Learners are required to form teams which are given an imaginary sum of R1 000 000 each to invest in JSE-listed shares. There are great prizes for winning teams including the opportunity to visit a stock exchange in another part of the world. Another real life learning opportunities is the JSE Virtual Trader which is a simulated trading platform that allows you to test your investment skills in a safe and risk-free environment. For the first-time investor, Exchange Traded Funds (ETFs) may be a good introduction to the stock market as it allows you to invest in a basket of shares rather than purchasing a single share. This means more diversification which helps spread investment risk. ETFs passively track a particular stock market index, such as the FTSE JSE Top 40 which is made up of the biggest companies listed on the JSE. It is also more cost effective as it carries lower management costs and only requires a small initial investment amount. You can purchase an ETF for minimum lump sum of R1000 or via a monthly debit order for about R300. For a list of all the ETFs listed on the JSE visit www.etfsa.co.za. Investing through a fund or unit trust provides a way in which you can invest a small amount of money but have access to a range of shares through the medium of collective funding pool. This gives the fund managers the ability to select and invest in a variety of shares, lowering the risk involved (as the money is invested in different shares). By choosing the right fund or unit trust to invest your money in, you can have a team of professionals picking stocks, managing your money and executing trades. You can invest in a fund through a fund management company, your financial advisor as well as through your bank. Online trading offers investors a convenient trading platform. All you really need is a personal computer and access to the internet. With online trading, fees and commissions are usually much lower than those of a stockbroker and an investor can act on prices almost immediately. The major drawback however, is that you as the investor will select shares on your own. Some people enjoy the challenge of poring through annual reports and following the markets, but for others this can simply be daunting and time consuming. Fortunately, many South African banks are now providing online investment solutions that are more suited to the novice investor – for example providing a stream of investment advice from analysts, access to live data or pre-selecting a range of recommended shares. While online trading is growing in popularity, stockbrokers are still the preferred way to trade shares. Prior to selecting a stockbroker, it’s advisable to ask for opinions from existing investors and obtain a few references. You need to decide whether to have your trading account managed by a full service stockbroker who makes investment decisions on your behalf or one that merely buys or sells shares at your request. A full-service broker will charge an interested investor an asset management fee, which is usually an on-going percentage fee of your investments portfolio value, while execution-only services usually involve lower brokerage costs. Not all stockbrokers deal with small investment amounts so you will need to find a firm that focuses on the private investor. A list of these brokers can be found on the JSE’s website at www.jse.co.za.